Some of the information about the Area 6413, was that the new aircraft tested there would require a short runway, that the engine would be capable of producing the thrust needed to reach speeds and altitudes for fast global response, and that it would be able to take off vertically from the ground. In the 1970's when Area 51 came about, it was funded by a black budget. Also in the 1980's spy satellites came about which was able to spot Area 51. This new area with a short runway to land and being able to take off vertically, made it almost impossible to spot from a spy plane. 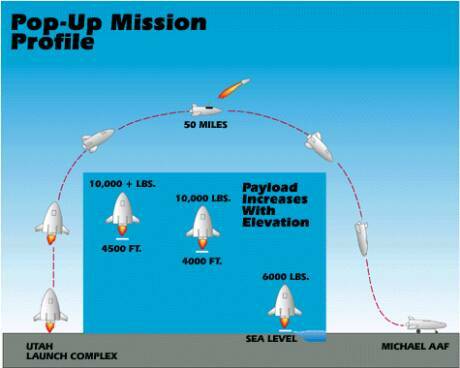 In February of 1997 the airforce and NASA signed an agreement of share assets. This is believed to be the funding for Area 6413.
l Utahs white sands NEW Area 51? l Human Mutilations - WHITE SANDS? There are many stories linking White Sands to alien contact and captured alien craft. In and around Green River, Utah there are numerous old military buildings which were part of the White Sands - Green River, Missile Launch facility where they used to launch missiles to White Sands, New Mexico. From 1964 to 1973 the U.S. Air Force launched 141 Athena missiles a distance of more than 400 miles from Green River to White Sands in New Mexico as part of the Defense Department's Advanced Ballistic Re-entry Systems (ABRES) program. Tracked by radar as they re-entered the atmosphere, the Athena missiles conducted research intended to improve and protect the warheads of nuclear missiles. Green River also hosted live firing exercises of the Army's Pershing missiles until 1974.
l In the June 1997 issue of Popular Mechanics an article about Area 51/Groom Lake claimed that the activities at Area 51 had been possibly relocated to the facility in Green River. Had the author bothered to actually go there he would have found that the facility had been abandoned long ago and would not be a good location for any type of secret government activity since it is in plain view of interstate highway 70. However, the article had its desired effect and to this day many people claim that Area 51 was moved to a secret military base in eastern Utah. There are military bases in Utah but not likely an active one in eastern Utah. This article was probably a diversionary tactic. l X-Craft at Michael's AAF? 1998 terraserver photo shows what looks to be a X-47A or X-version, Black Project Craft captured in Utah satellite photo! l Bizzare Events Unfold Near Dugway Area Failed ET Abduction? l Articles in Aviation Week and Space Technology report that the projects being developed at the Utah sites represent a quantum leap from present Stealth technology and have recently been flown to Morocco. "Unidentified Flying Object Implication for Nation Security and Human Survival." It provides a three-page Introduction to a paper of undetermined length written by LCR in December 1976. LCR reveals that between 1946 and 1955 he compiled information on UFOs and the U.S. intelligence community that was included in his book Central Intelligence, UFOs and National Security, published in 1956 by the CIA. It reveals the surprising fact that many secret documents concerning UFO encounters at Los Alamos and the White Sands Missile Range in the period 1944-1949 were destroyed and also reveals how this caused problems in trying to evaluate the true picture from a historical perspective. The paper also touches upon the CIA's role in espionage and UFO investigations, as well as LCR's examination of the CIA's historical UFO studies. 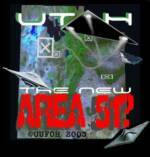 l "UFO Technology and the Imbalance of Power,"
UTAH - THE NEW AREA 51?